← Roses in January? Outside? 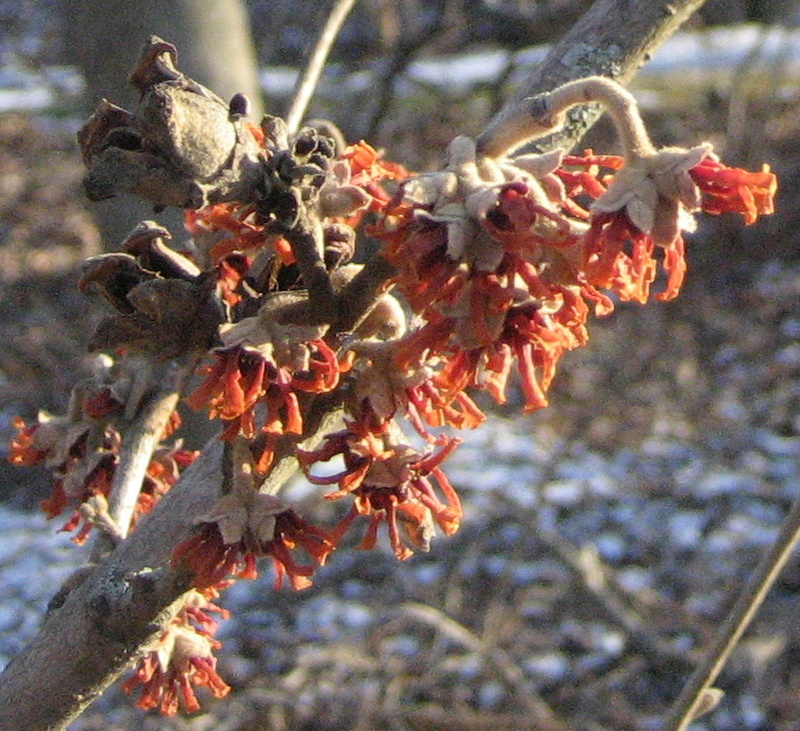 This entry was posted in Public Gardens and tagged botanical gardens, gardening, herbal remedies, Morris Arboretum, winter bloomers, witch hazel. Bookmark the permalink. 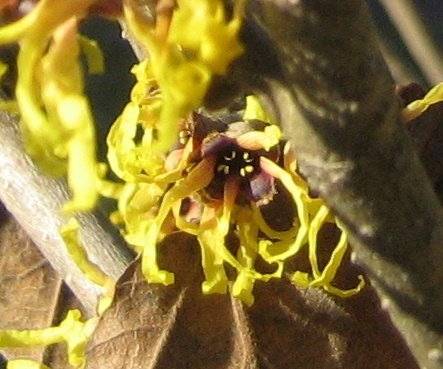 I have a neighbor with two witch hazels and they are spectacular. I remember the first time I noticed his I was so confused. I could see this brilliant splash of gold (Arnold) but it was way too early for forsythia. Fortunately my neighbor gives me a tour a couple of times a year because he has a wonderful selection of plants. He is an inspiration. Frances – I want Diane for my garden. She’s so lovely! The basketball hoop might just have to make way. Thanks for the comment! Hi Gail – I think I may have to do my homework on H. vernalis – I read “Bringing Nature Home” and I swore I’d never plant a non-native if I had any choice. I must not be seduced by japanese/chinese loveliness if there is n.american loveliness that will work! Thanks for the note Gail – so jealous that you have three. Lucky gardener, you! I’ve been walking around the yard figuring out how I would have to redesign to make room for one – I’m scoping out two potential spots. Woe to the plants currently making a home there! Hi Kelly and congrats on yojur new blog. Thanks for visiting me and commenting on the Muse Day post. Please join us the first of each month by posting a poem, prose or other musing on your blog then visit me and let us all know so our readers can visit you. 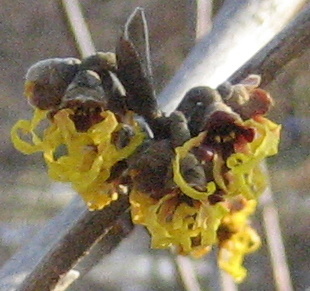 I have several young witch hazels. 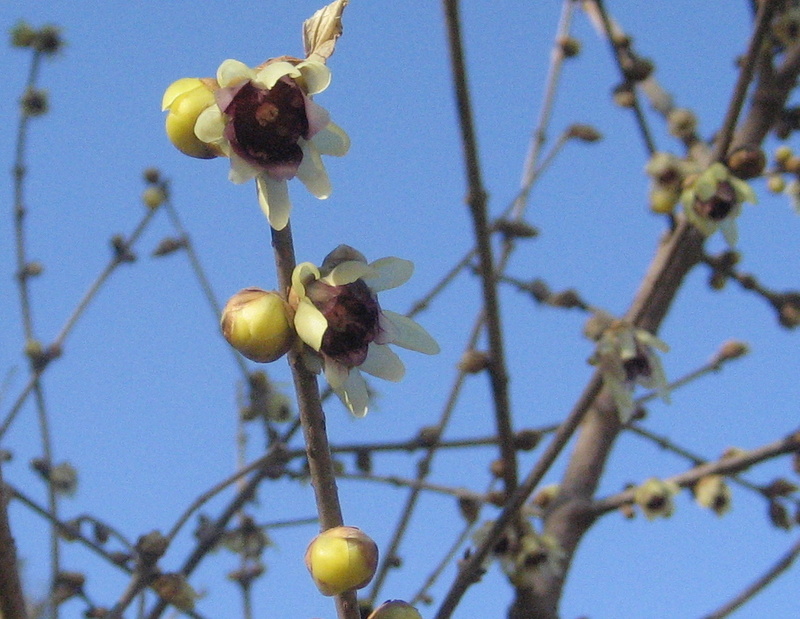 I am looking forward to seeing them bloom! Lucky you with your three witchhazels. I’ve located a few potential locations in my yard…although one is in the middle of the driveway. Who needs to park anyway? 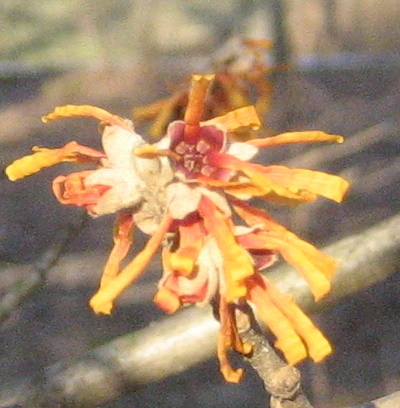 I with you in wishing I had room for witchhazel, actually witchhazelS, as I would want three in different colors. Thanks for visiting Les. I know – I do envy those gardeners with acres to play with…I think if I claim any more of my kids’ play area for garden they’ll kill me…but that soccer goal would look so much better with a witch hazel right in front of it!